*No purchase necessary but chai is subject to availability. 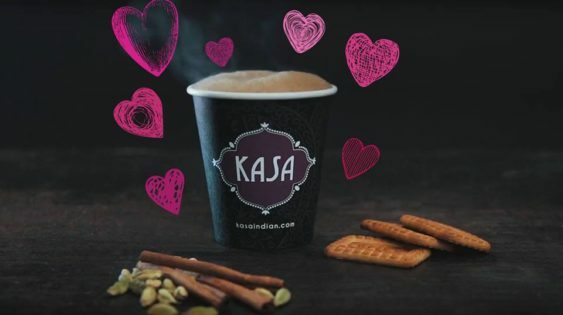 Kasa Indian Eatery is spreading the love on Valentine’s Day with a free cup of chai tea for all Valentines Day singles, couples (and polygamous). You can enjoy it hot or cold or with a friend. Come share a warm loving cup of the Best Chai in San Francisco. This event will be happening simultaneously on both of their branches in SF and Redwood City. Drop by and enjoy a cup of their best chai while supplies last. Please be polite to the paying customers as you must wait in line to be served. Even if you are not buying anything additional, please be patient to be served in order of first come, first served.